Every gallery night NEWaukee takes you on a tour of multiple galleries and locations. The galleries are only part of the journey. On the ART Bus you will find a live local singer songwriter, wine and beer, and a great way to meet new people all for $25 per person. 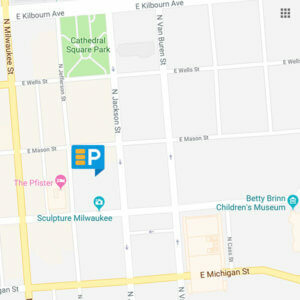 Whether you’re an art novice, expert, or anywhere in between, the ART Bus is a great way to explore Milwaukee’s spectacular art scene both on and off the bus! On this ART Bus, we’ll be stopping at MIAD's Senior Exhibition, The Warehouse MKE, Flux Design Milwaukee & Gathering Place Brewing Company, and Black Cat Alley!